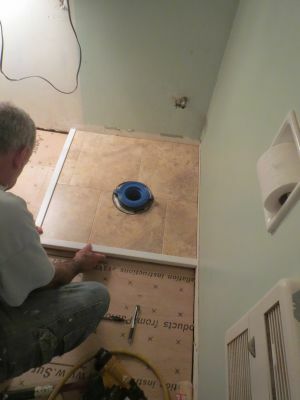 Experience – Larlin's Home Improvement has been installing flooring for well over 15 years. Since 2004 they've tackles big and small jobs, from installation to refinishing. Larlin's Home Improvement can install a variety of flooring materials in your home, on all types of flooring substrates including floor joists and concrete. Larlin's Home Improvement can refinish your hardwood floors, starting with a thorough sanding, and finishing with multiple coats of polyurethane. Replace and Install – Larlin's Home Improvement can tear your old flooring out completely, repair the floor substrate to ensure level results, and lay new flooring. Larlin's Home Improvement take the time necessary for proper preparation to ensure you have a functional, attractive floor covering that will last for years to come. Affordable – As a leading local provider of floor installation services since 2004, Larlin's Home Improvement has been providing quality flooring service at a reasonable price. Call (203) 267-0607 for a free quote. Larlin's Home Improvement guarantees satisfaction on every flooring job.